We are building a new “Native Plants Gallery” page. We are building a new Native Plants Gallery page, it will be an ongoing project as there are so many wonderful New York native plants! Frequently people I meet are not familiar with native plant species, or even what defines a plant as being native. This is because in many localities, native plants are obscure and hard to locate. Big box stores and garden centers don’t want to carry indigenous plant species because most of them don’t bloom on command in pots. This is a defining characteristic that makes gardening with natives delightful and low maintenance- they don’t want artificial fertilizer. Fertilizers actually just give an edge to their competitors, the weeds. The top photo is Echinops ritro or Globe Thistle* and the bottom one is Helenium spp. 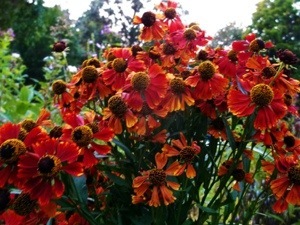 or Sneezeweed. Both photos were taken by Dawn Foglia and used with permission. *Note. 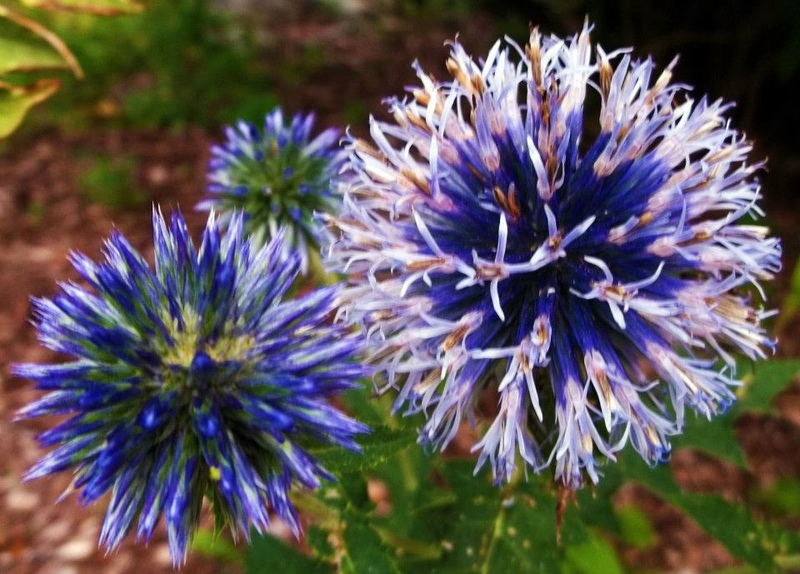 Echinops ritro, Globe Thistle is actually native to Europe and Asia.